According to the Centers for Disease Control and Prevention, traumatic injury is one of the leading causes of death for people under 50 years of age in the U.S. A large portion of those deaths are from severe bleeding – the most treatable cause of death due to trauma. Traumatic injury is the leading cause of death of all Americans from birth through age 46, with more than 192,000 deaths from trauma each year and an annual societal cost of more than $671 billion. 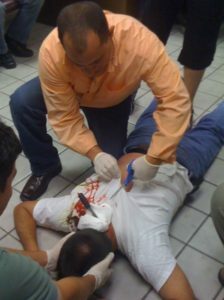 The Advanced Bleeding Control training programs is designed to provide detailed instruction on the control of severe external bleeding, including the use of direct pressure, commercial pressure bandages, tourniquets and packed dressings. The goal of this training program is to help students develop the knowledge, skills, and confidence to respond in a severe bleeding emergency. Trauma is defined as a bodily wound or shock produced by sudden physical injury, such as that from violence or an accident, including vehicle crashes, falls from heights, gunshot or knife wounds, blunt force, blasts and burns. Even a 5% reduction in trauma deaths and economic burden would translate to 10,000 lives and $33 billion saved EVERY YEAR. Death from severe bleeding can occur rapidly. Survival is primarily dependent on how quickly bleeding is controlled. The sooner bleeding is controlled, the more likely it is an injured person will survive. Similar to the use of CPR and AEDs for sudden cardiac arrest, the treatment for severe bleeding is best started immediately by the nearest person able to help. 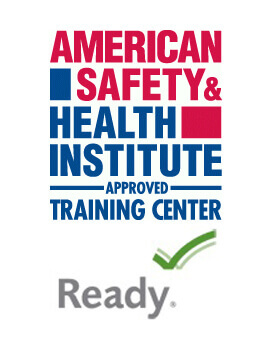 Lay providers are now being encouraged to be trained to use the same commercial products utilized by EMS, fire departments, and law enforcement. Recent mass casualty events have highlighted the need for improvement in immediate care for severe bleeding due to traumatic injury.